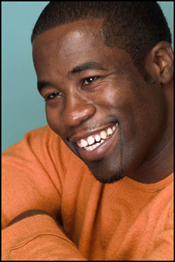 Daniel Beaty is a riveting spoken word artist, actor and Obie award-winner. His plays are emotional and thought provoking, typically ending with a message of hope. Known for his rich characters depicting the dynamics of African American life and culture through performances such as Knock Knock and Run Black Man Run, he has brought laughter and tears to diverse audiences. His 43 character performance Emergency and 6 black male character play Through the Night have amazed audiences and drawn “Artistic Ambassadors” such as Bill Cosby, Professor Henry Louis Gates Jr., Hill Harper, Phylicia Rashad and Malik Yoba, just to name a few, in support of this vibrant, animated actor. While speaking before an audience, Daniel once said “If you will continue to listen, I will continue to tell these stories,” and Courage Empowerment Forum is listening! 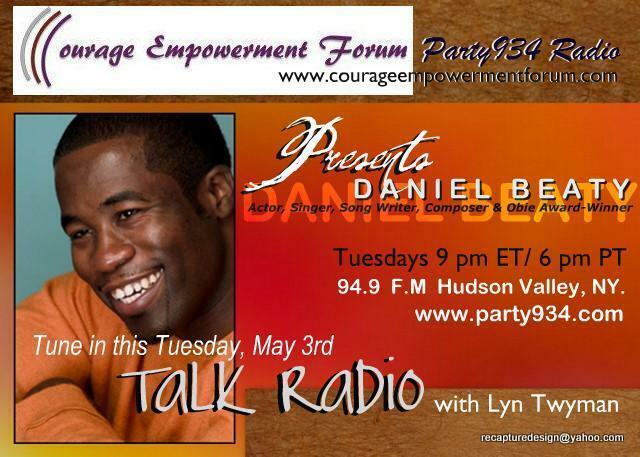 Tune in Tuesday, May 3rd at 9 PM Eastern, 6pm Pacific to www.party934.com, 94.9 FM Hudson Valley, NY to hear Daniel Beaty, award winning actor, singer, writer and composer. Visit Daniel’s website at www.danielbeaty.com.